When Apple revealed its new Lightning connector, it opened lots of dialog on whether consumers would need to upgrade their accessories or utilise one of the company’s adapters. 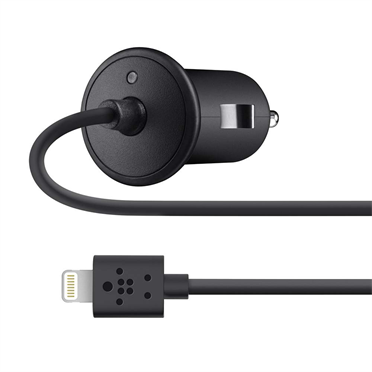 We’ve heard Apple is set to hold an accessory partner seminar in the coming days, but one accessory maker has announced new Lightning-enabled accessories for iDevices – Belkin. 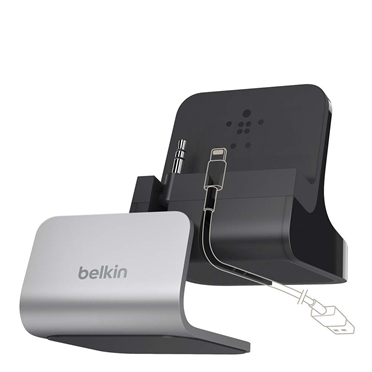 Belkin today launched its new hardwired car charger and ‘Charge + Sync’ dock. The company also committed to rolling out a wider range of Lightning accessories, noting that it will roll out several new products later this year. The hardwired car chargeris an updated version of its existing charing accessory. It includes a 4-foot Lightning cable and kicks out 10 watts/2.1amps while including over-voltage protection and retails at $29.99. The charger is compatible with iPad min, iPhone 5, iPod nano 7th generation. iPod touch 5th generation and the iPad 4th generation. The Charge + Sync dock offers a foldaway AUX jack, a cable channel to hold the cable, a removable magnetic base and an audio-out port for headphones or speakers. This also costs $29.99 but is only compatible with the iPhone 5, according to Belkin. Belkin has opened preorders for the two accessories today but they will go on general sale from mid-November.